The Killeen Police Department is asking if anyone can identify these Debit Card Abuse Suspects. 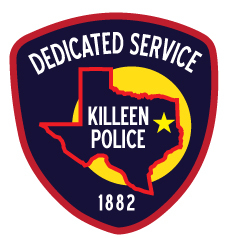 On Friday, March 6, 2015, a citizen reported to officers that their debit/credit card information was compromised and suspects cloned the card to make multiple unauthorized purchases at stores in Killeen, Cedar Park, Round Rock and Austin. Detectives obtained this photograph of the suspects. Detectives are asking anyone who can identify these suspects or has any information about this Debit/Credit Card Cloning, to contact Crime Stoppers by 526-TIPS (8477) or go online anonymously at www.bellcountycrimestoppers.com or anonymously text BELLCO along with the tip to 274637. Text HELP to 274637 for help with the tip, text STOP to 274637 to stop the tip. All information is anonymous and confidential. If your tip leads to the arrest of the suspect involved in this crime, you could be eligible for a reward up to $1,000 in cash. Killeen Police need help identifying suspects using a stolen debit card. Detectives with the Criminal Investigations Division are looking for the male and female in this photo who used a stolen debit card to make purchases at the Wal-Mart in Killeen on Wednesday, March 25, 2015. The debit card was stolen from the victim’s vehicle during a burglary earlier that day in Harker Heights. Detectives obtained these photographs of the suspects. Detectives are asking anyone who can identify the male or female in the photo or have information about this Debit Card Abuse, to contact Crime Stoppers at 526-TIPS (8477) or go online anonymously at www.bellcountycrimestoppers.com or text BELLCO along with the tip to 274637. Text HELP to 274637 for help with the tip or text STOP to 274637 to stop the tip, message and data rates may apply. All information is confidential and anonymous, and if your tip leads to the identity and arrest of the suspect responsible for this crime, you could be eligible for a reward up to $1,000 in cash. Officers responded to the 2800 block of S. Fort Hood St. at 1:55am, today, May 25, 2015, after receiving a 911 call telling them about a pedestrian getting hit by a vehicle. Both victims were transported by ambulance to Baylor Scott & White Hospital. The first victim is in the Intensive Care Unit with life threatening injuries. The second victim was treated for non life threatening injuries and has been released. The KPD Traffic Unit Investigators advised the tan midsized vehicle that fled the scene will be missing the drive’s side mirror and have damage to the front left of the vehicle. Detectives with the Criminal Investigations Division are looking for the male in this photo who used a stolen debit card to make purchases at the Wal-Mart and Dollar General in Killeen on Thursday, October 29, 2014. The debit card was stolen from the victim earlier that same day in Copperas Cove.